I did it again. I stuffed yet another vegetable. 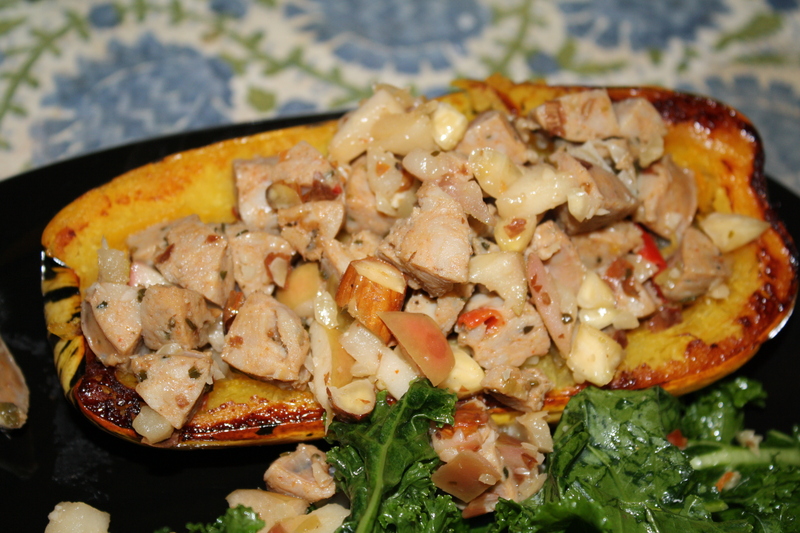 This one may have been my favorite so far…stuffed delicata squash. I stole this recipe from my Mother–she made it for us over the weekend and I couldn’t stop thinking about it. 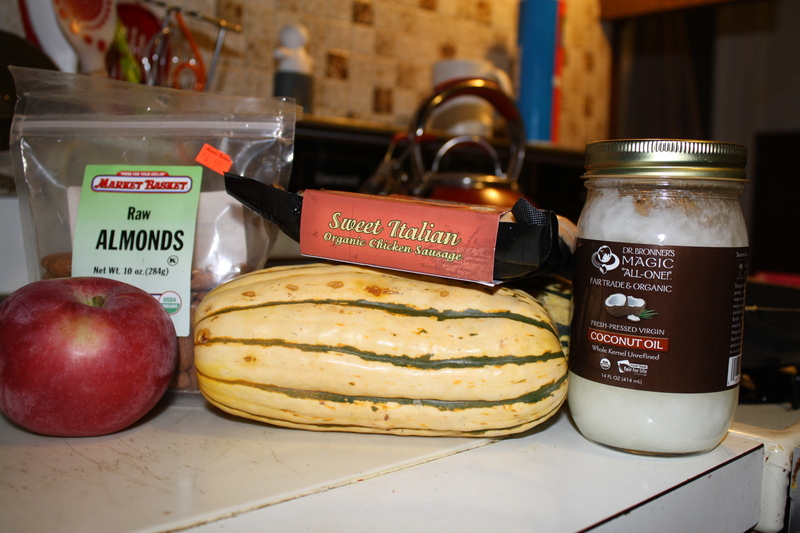 One of our week 2 goals for the Return to Nourishment is to experiment with new vegetables. 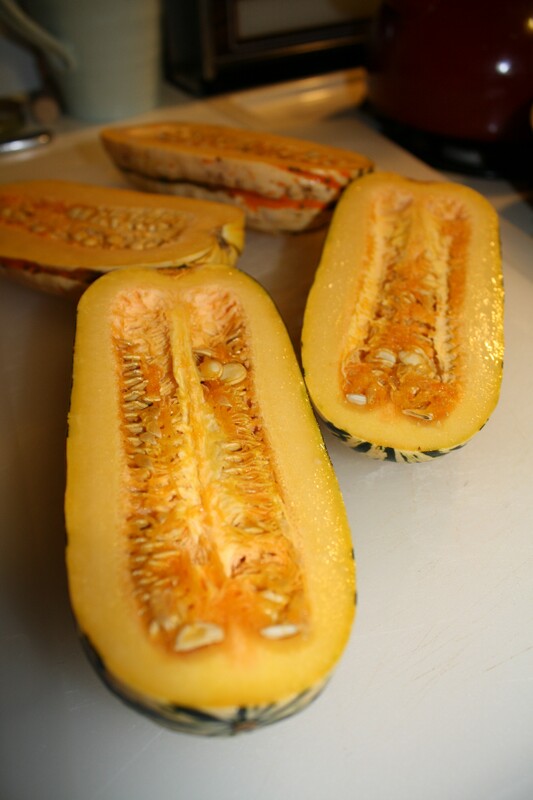 Delicata squash was never on my radar until this weekend…so I consider it one of my new veggies. 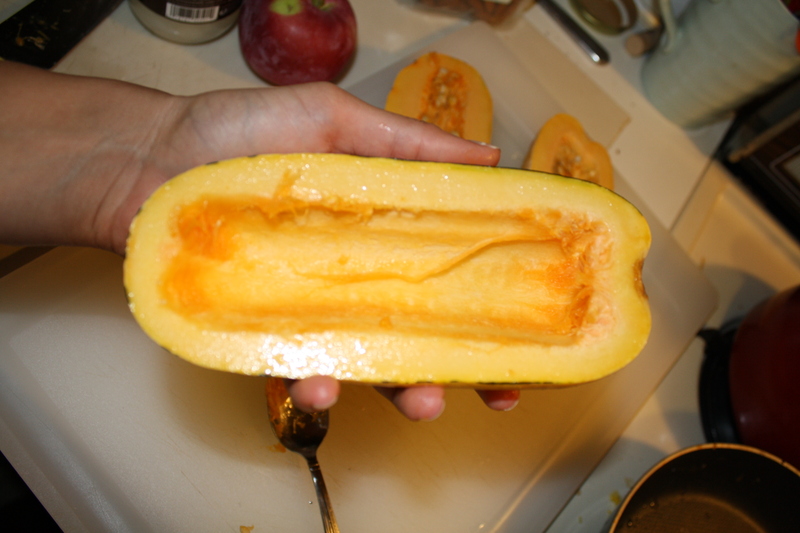 Boy was it delicious…remember how I said acorn squash might be my second favorite squash? Well, now it may just be my third…. and scooped out the seeds. I placed them cut-side-down in a baking dish generously greased with coconut oil, and popped them in the oven to bake at 425 for 45 minutes. 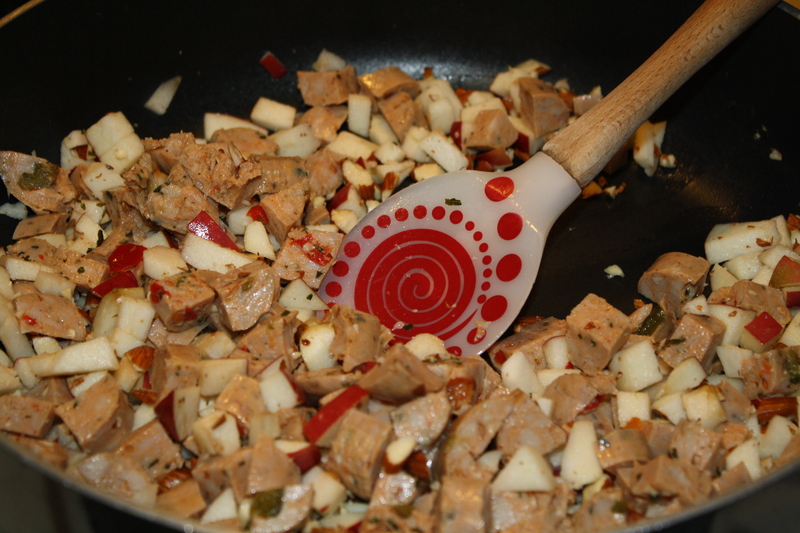 While the squashes were cooking, I started making the filling. 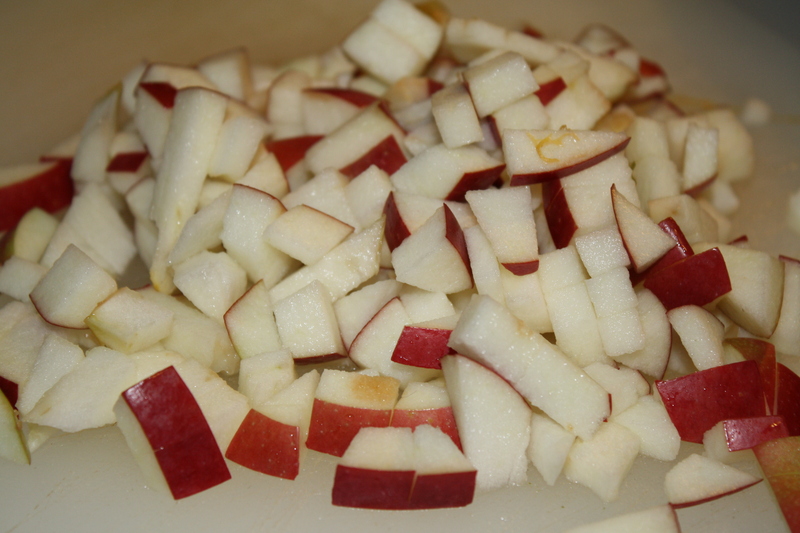 I chopped my apple. 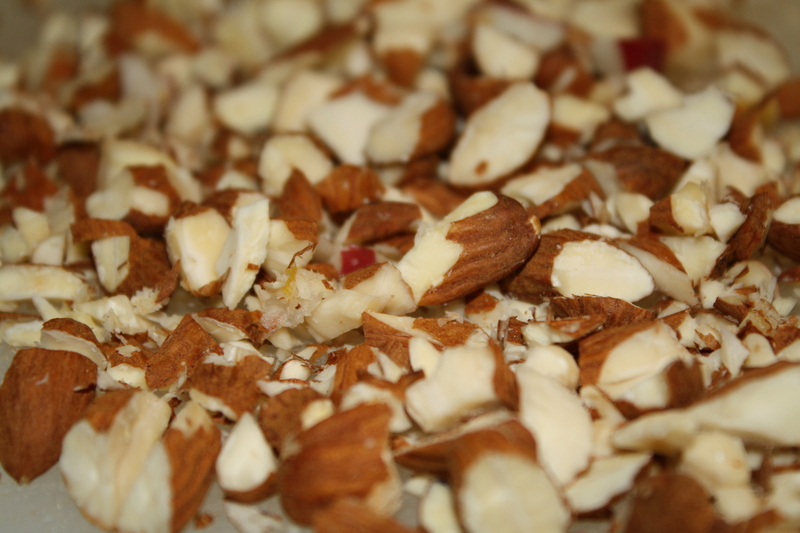 Then chopped my almonds and my sausages. added a splash of apple cider and cooked everything over medium heat until the cider had steamed off and the sausages had browned. 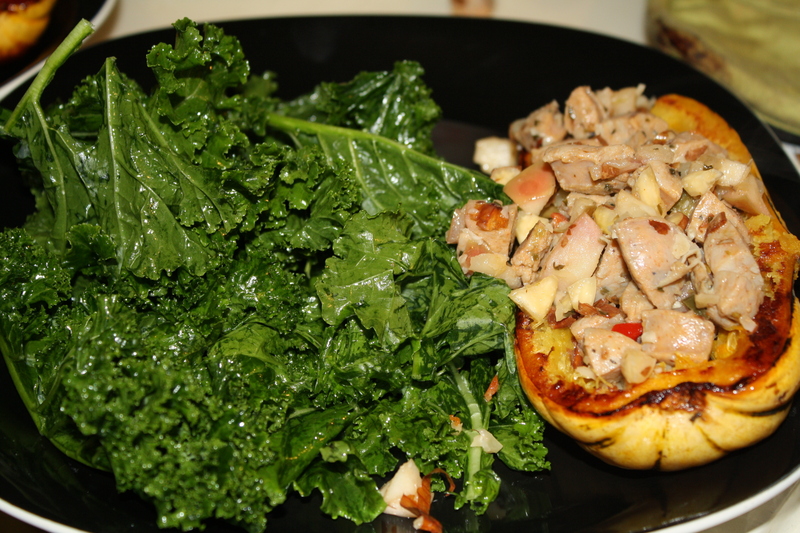 When the squash came out of the oven, I spooned the filling into each cavity and served with some massaged kale salad on the side. 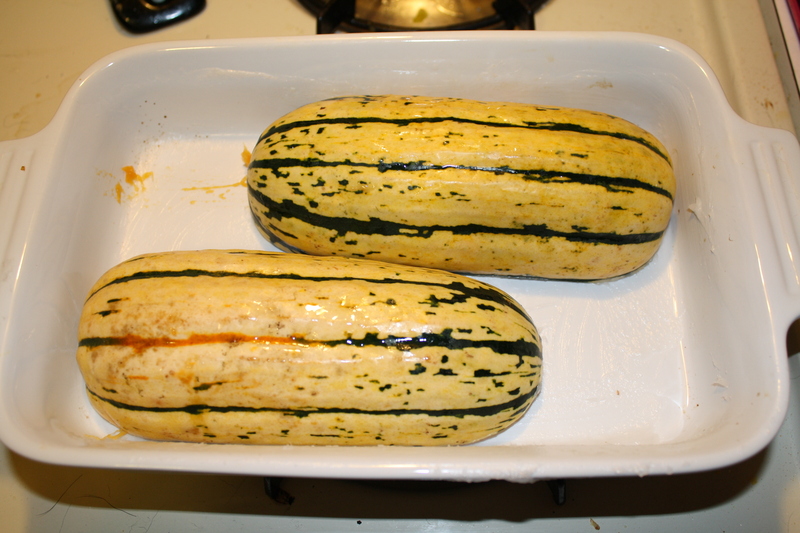 I like this method of stuffing squash (cooking the filling separately) better than cooking the filling inside the squash. It’s less nerve wracking–especially when you’re using chicken or turkey and you want to make sure that it’s thoroughly cooked. 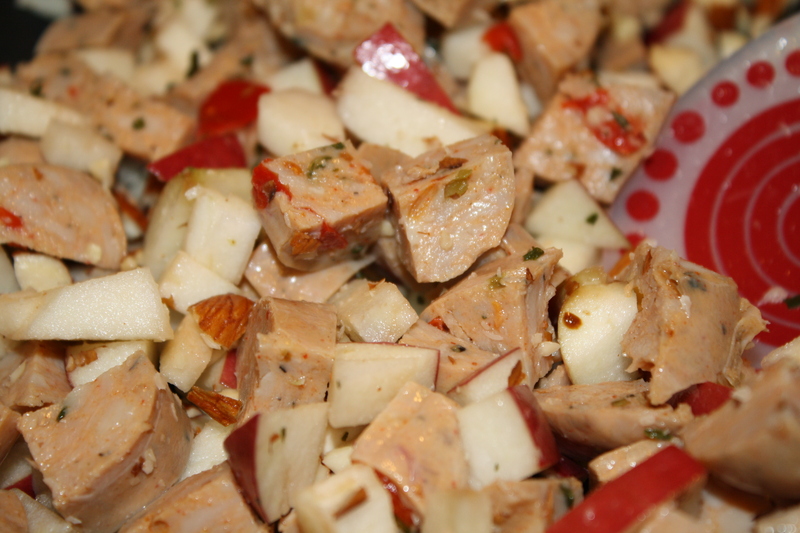 What’s your favorite fall recipe that YOU’VE made this fall?